In the past decade, yoga has become a worldwide phenomenon. Most people are familiar with the aspects of Hatha yoga which emphasizes asana practice (body postures), yet there are many branches of Yoga including Karma Yoga, Jnana Yoga, Bhakti Yoga, and Raja Yoga. 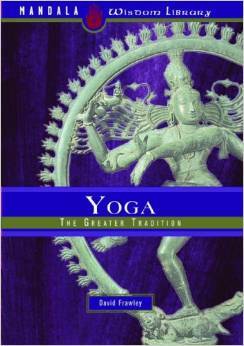 In his new book Yoga: The Greater Tradition (Mandala Publishing, May 2008). David Frawley, a renowned scholar of the Vedic science of Yoga, Astrology and Ayurveda, synthesizes his vast knowledge of the Vedic Science of yoga into a compact and easy-to-read manual that explains the multi-faceted scope of the holistic and sacred science of yoga. In western culture fitness, beauty and stress management are the current preoccupations of popular yoga asana practice. Frawley believes that these physically oriented approaches do not reflect the broader spiritual paths of Vedic knowledge that is the real foundation of Yoga.